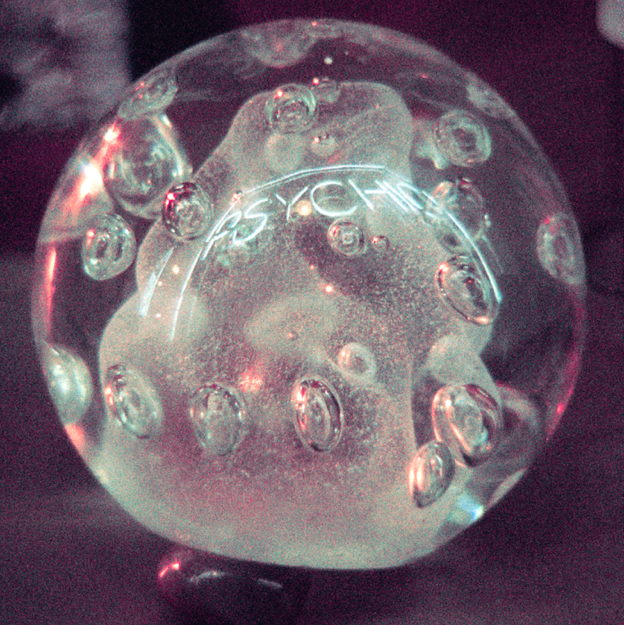 Unless you were one of the lucky 700 or so to get a very early preview of DARKSIDE's Psychic in lower Manhattan a month ago, prepare yourself for your first listen of the fortcoming album from Nicolas Jaar & Dave Harrington. And frankly, I'm a bit jealous that you're now about to experience the same exhilarating feeling we all did when we heard this album for the first time. Other People and NPR 'First Listen' have the stream. Dig in. 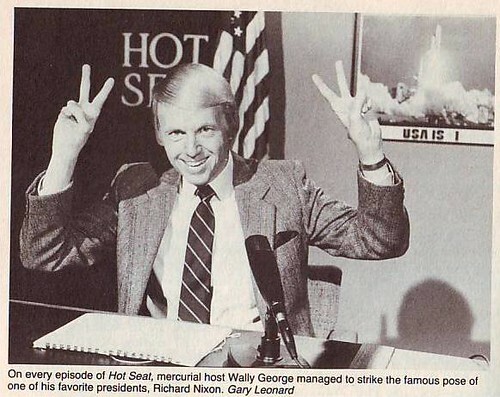 Big apologies to the family and friends of Wally George for the above headline, but I just couldn't resist. 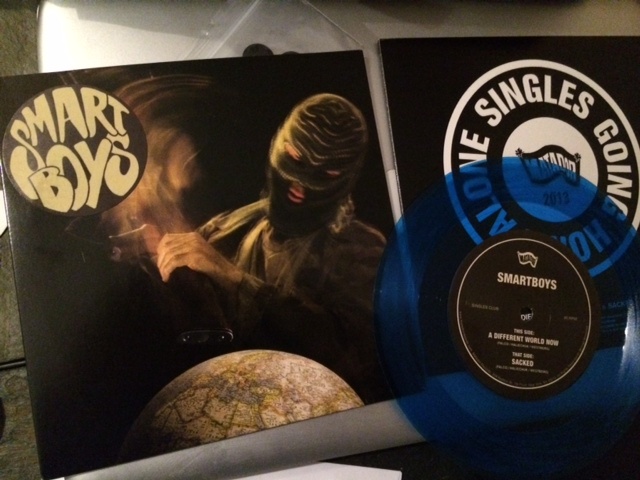 the latest entry in our 2013 Singles Going Home Alone 7"'s, "A Different World Now", from Toronto's SMARTBOYS (Warren Calbeck, Jonah Falco, Steve Foster, Mike Haliechuk, Tim Westberg) is currently in the mail to persons who've subscribed. If you're not a member of that august body, you can still join in. Currently mid-way through their North American tour, Savages unveil the terrific new video for 'Husbands', taken from their Mercury Prize shortlisted album Silence Yourself. Perfectly mirroring the album's contrasting artwork, director by John Minton (website / Vimeo) adds a grainy super-8 effect and a world of creepies, crawlies and reptiles to the mix. "it's a big world out there (and i am scared)" is the new digital and 12" vinyl EP from Kurt Vile and The Violators, out on November 19th with six of the seven new tracks previously unreleased. The EP was recorded during the same sessions as the latest album and doubles as the bonus content for the newly announced 2xCD and digital album version of Wakin On A Pretty Daze: Deluxe Daze (Post Haze), also out November 19th. Today Kurt shares a playlist at KurtVile.com of the mix CD he handed to the Violators and producer John Agnello before heading in to the studio for the recording of Wakin On A Pretty Daze, along with a message from Kurt (here) on the process of compiling the mix and its influence on recording. Still out on the road for shows across North America and Europe, Kurt and The Violators continue touring, with European dates below. Pre-order the "it's a big world out there (and i am scared)" EP and Wakin On A Pretty Daze: Deluxe Daze (Post Haze) Album from the Matador Store. October 26 – Philadelphia, PA – Union Transfer ! October 27 – Baltimore, MD – Ottobar ! October 28 - Charlotte, NC - Chop Shop ! October 29 – Athens, GA – 40 Watt ! October 31 – Jacksonville, FL – Jack Rabbits ! November 01 -- Miami, FL - Grand Central ! November 2 – Orlando, FL – The Social ! November 3 – Tallahassee, FL – Club Downunder ! November 4 - Mobile, AL - Alabama Music Box ! November 5 – New Orleans, LA – One Eyed Jack’s ! November 11 – Oxford, MS – Proud Larry’s ! November 12 – Chattanooga, TN – JJ’s Bohemia ! Body/Head (Kim Gordon and Bill Nace) will be performing at NYC's Museum of Modern Art on November 21 as part of the PopRally series ; there will be a DJ set from Kathleen Hanna as well. Tickets are $24 ($22 for MOMA members) and are available here. 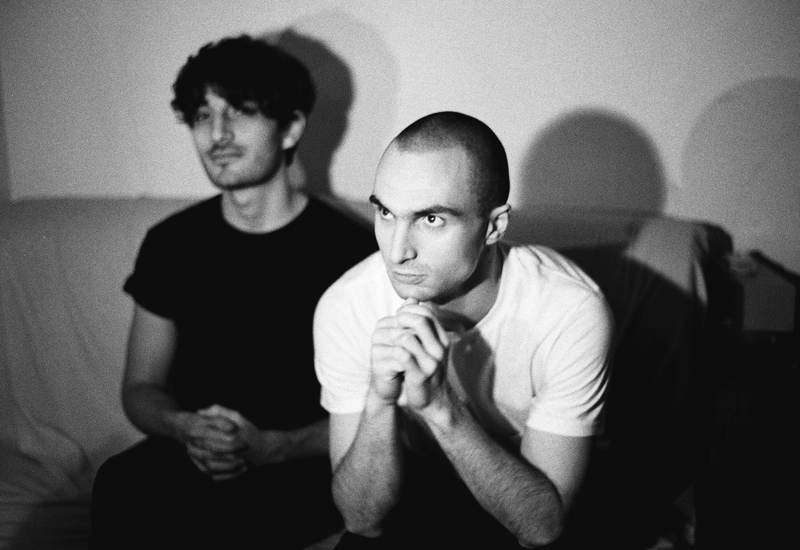 Majical Cloudz have reshuffled their upcoming European tour dates, with a few shows cancelled and others rescheduled slightly. Newly added dates are in bold, cancelled dates are struck through - refunds are available at point of purchase. Be sure to check out the new Pitchfork 'City of Music' session and Childhood's End CFCF remix if you haven't already caught those. This morning, DARKSIDE premiered another track from their forthcoming longplaying debut on Other People & Matador Records, 'Psychic'. Listen to "Paper Trails" now, and if you haven't already, check out "Golden Arrow". 'Psychic' is out October 8 and is available fore pre-order via the 2xLP, CD and the iTunes formats. 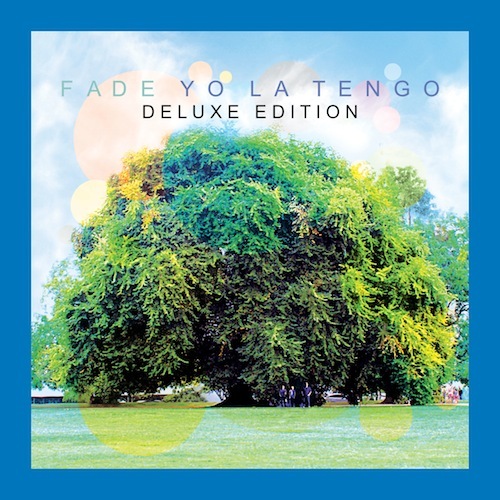 On November 19, we'll be issuing a double CD version of Yo La Tengo's widely hailed 'Fade' ; the bonus disc (track listing below) features an amazing array of 'Fade' outtakes, extra tracks and alternative versions, plus there's a download card for the "Stupid Things" (12" version that preceded the album), plus the "Oriole" b-sides from the recent "Ohm" 12" triple-pack. (ADDENDUM : the deluxe edition of 'Fade' will also be available on iTunes on November 19). 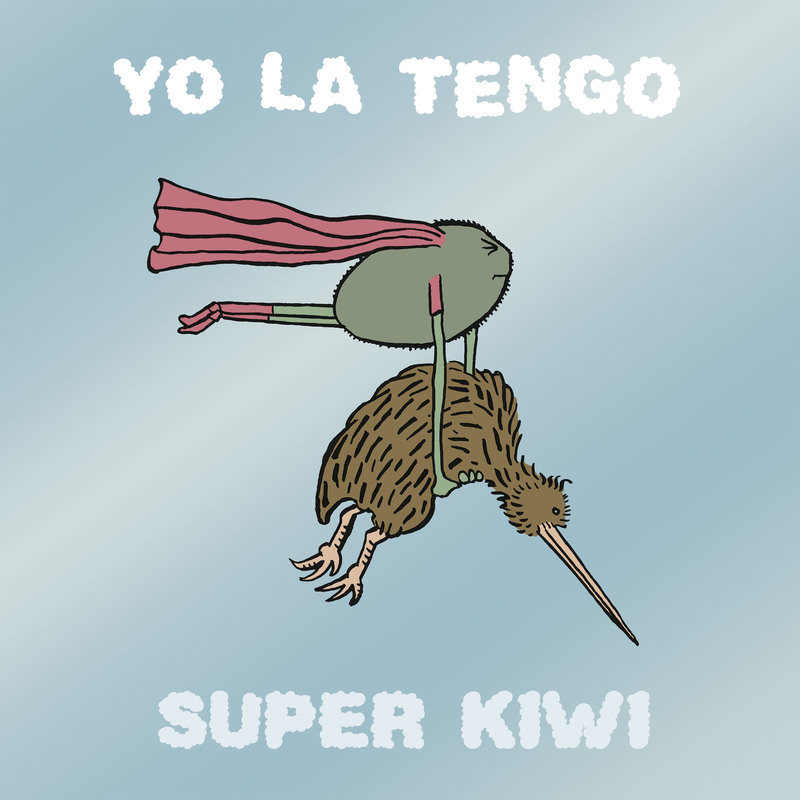 On November 5, we're issuing a 7" of "Super Kiwi" (recorded during the 'Fade' sessions with John McEntire), backed with a cover of the Beach Boys' "A Day in the Life Of a Tree". MC are still on tour. Devon is writing about it. Today we're incredibly proud to let you know that Savages have been shortlisted for the 2013 Barclaycard Mercury Prize, one of twelve albums nominated for the best British Album of the Year, for their debut Silence Yourself (purchase from the band/Matador Store/iTunes, or listen at Spotify), released in May on Pop Noire/Matador Records. Last week Pitchfork shared the new session video for 'I Am Here' - we'd advise you take a moment to absorb the full impact of their honed live shows, then get yourself out to see them play as soon as you're able to. Their latest US and Canadian tour started last night, with several months of touring ahead of them across Europe and North America, check the full list of live dates below. Pitchfork's Marc Masters has called Body/Head's 'Coming Apart', "intoxicating". Tiny Mix Tapes cites the album's "unusual synergy, exploration, and focus", while the New York Times' Ben Ratliff writes, "there are no wrong notes on 'Coming Apart'. Nor is there a possibility of any." 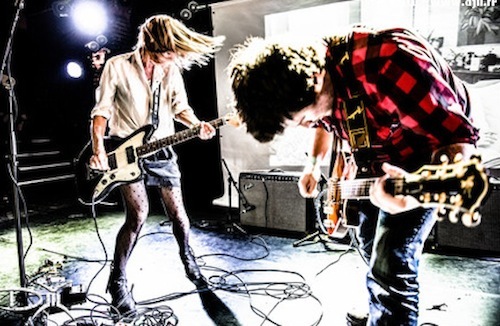 Today, you can formulate your own opinion with the format of your choice ; the new album from the duo of Kim Gordon and Bill Nace is in stores (or in some instances, in your mailboxes), and Body/Head will kick off their global touring tonight at Brooklyn's Union Pool. order 'Coming Apart' from The Matador Store, Amazon or iTunes. shot by Adam Kola on Super 8 and digital camera during Esben and The Witch's May 2013 European tour (Luxembourg, Vevey, Milan, Turin, Ravenna, Ljubljana, Zagreb, Plitvice, Bratislava, Budapest, Vienna, Prague & Leipzig). From the LP/CD/digital album 'Wash The Sins Not Only The Face'. It was very much an experiment. This process had never been tried with a song before so we had no idea what to expect. We divided the process in two days: one for recording the band, one for recording the room the next day. Gemma Thompson and Johnny Hostile (who co-produced the Savages first album) sat in the basement all afternoon while the song was being played and recorded in the room 10 times in total, witnessing the slow disintegration of the song until it became really abstract, each instruments merging into the cacophony of this new orchestral autonomous ensemble. There's a real emotional intensity to Savages' live presence. I was interested in the idea that the band's performance could be so powerful that it would leave a kind of psychic scar or echo within the performance space. That the sound could become interwoven into the physical structure and sort of "haunt" the building. The process behind Lucier's "I am sitting in a room" seemed to be an appropriate way to illustrate this concept. We used the band's performance to reveal the hidden resonant frequencies of the performance space. The process itself is a direct interaction with the environment, and it felt almost like an invocation or ritual-- like we were summoning the sound from deep within the walls. The above statements were cribbed from a Pitchfork article in which you can also check out two audio "decay" versions of the track. Very cool indeed. We're very proud to announce our collaborative release of DARKSIDE's debut album 'Psychic' on October 8th via Other People and Matador Records. 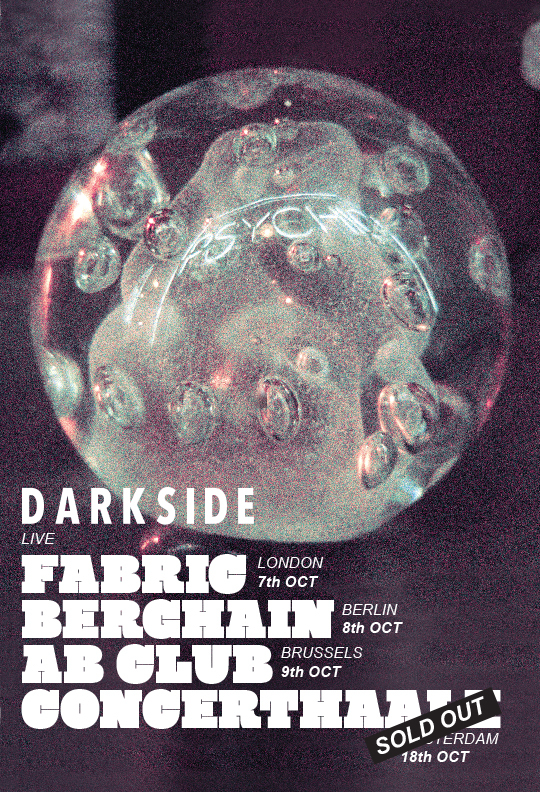 DARKSIDE is comprised of electronic producer Nicolas Jaar and guitarist Dave Harrington. They formed the band in 2011 after touring together for several years and experimenting with each others' sounds. 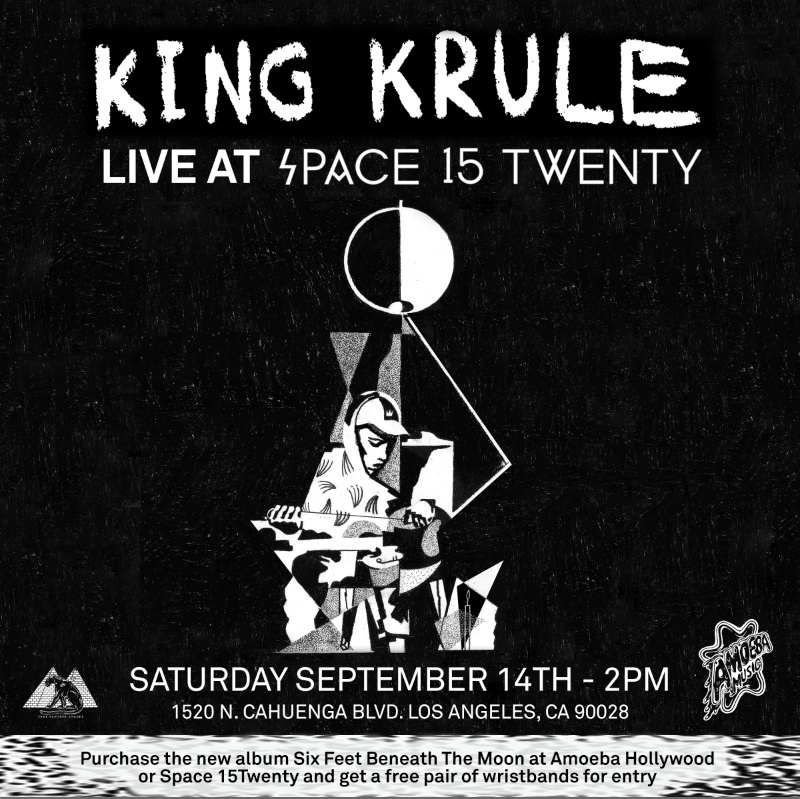 Drawing on their vastly different backgrounds, each musician channels himself through the other, resulting in a progressive hybrid of electronic music and psychedelic rock with an otherworldly depth. 'Psychic' is a ritualistic song cycle, exploring rock’s cosmic outer edges through the immersive, body-moving framework of 21st-century house and techno. It follows the band’s acclaimed 2011 'DARKSIDE' EP, as well as their full-album remix of Daft Punk's 'Random Access Memories'. The band unveiled 'Psychic' on August 20th, at a last-minute event on the Lower East Side, attracting lines around the block and forcing a second listening to accommodate the crowd. A writer for Pretty Much Amazing wrote, "Feeling fully submerged in what felt like equal parts evening meditation and the best house party ever, it was hard to believe it was only an hour-long event. The first session's listeners left in peace and with gratitude for the experience and a longing for the release date. Just like that, Darkside made their stamp on this summer."